In 100-degree weather and a sea of inebriation, it’s no small feat to really stand out. And we’re not talking crochet tops and flower crowns…which really should be banned at festivals by now, because, been there, done that. 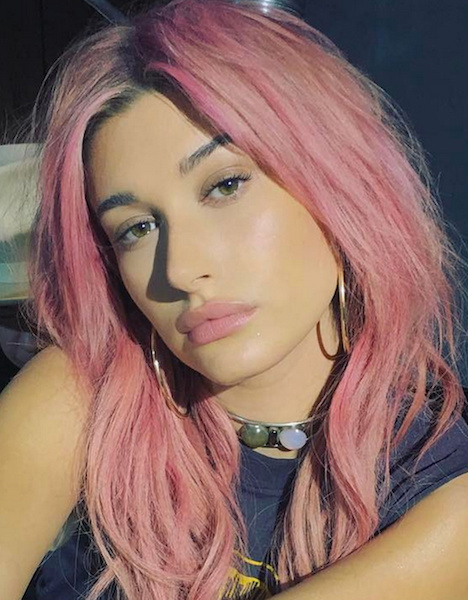 Is it us or does it seem that the beauty trends of 2017 are taking us back to our Lisa Frank days? Everything seems to be doused in glitter, but we’re not mad. Glitter lips were a hit at last year’s winter soirees, and we find ourselves in the midst of a highlighting craze, so under-eye glitter accents and glitter highlight are naturally appropriate, and total knockouts. Think of it as highlighting 2.0. 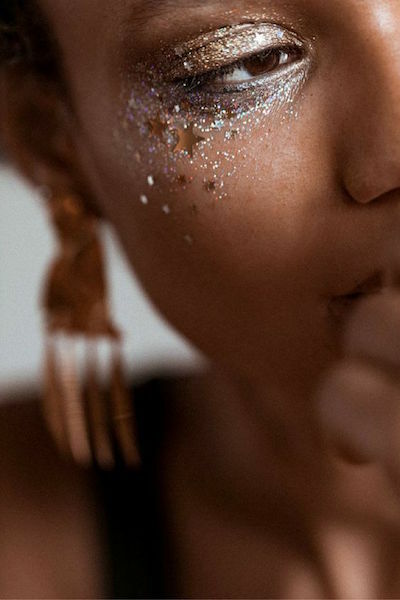 Glitter makeup looks stand out, even under the desert sun, and translate for the nocturnal festivities. 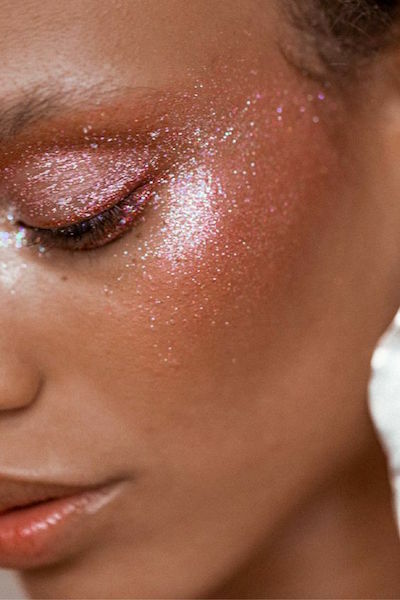 Glitter is one of those beauty products that can be used all-over, but we’re loving the glitter under-eye accents and glittered cheekbones, a la galactic glam. To get the look: Go for a glitter-infused eyeshadow like Urban Decay Moondust Eyeshadow ($21) dusted under eyes or on cheekbones. But for a more dramatic look, use a glitter primer like Too Faced Glitter Glue Glitter Shadow Primer ($20), and adorn loose glitter under eyes, or on cheekbones. Glitter will transform any feature (including hair) into glitzy goodness, our suggestion is to pick one focal point (i.e. eyes, cheekbones, lips, hair) to “glow-up,” keeping it simple but still out of this world. A festival would be one of the only times when it’s conventional, and kind of expected, to wear bright and bold eyeshadows. 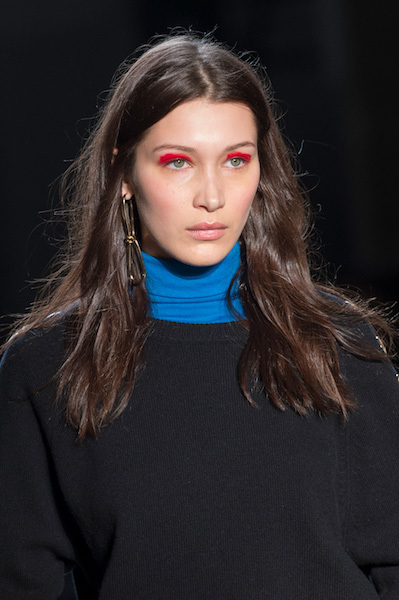 We spotted some cool, electric shades during NYFW at the Oscar De La Renta and Prabal Gurung shows, so we know the look is on-trend. After all, it’s a “music and arts” festival, so why not turn our look into a work of art? 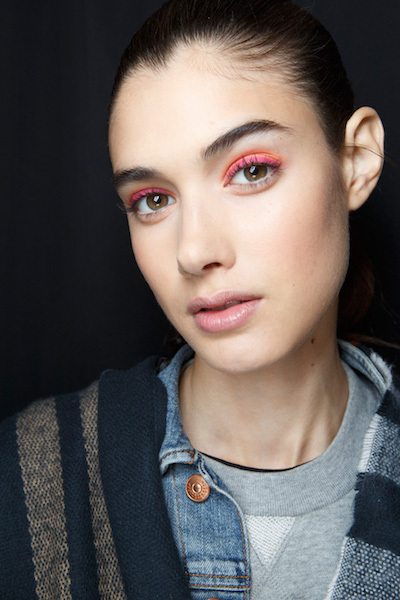 To get the look: Use an eyeshadow primer like Nars Pro-Prime Smudge Proof Eyeshadow Base ($26) to prevent creasing, especially when using a powder eyeshadow. Liquid eyeshadow like YSL Full Metal Shadow ($30) makes application a breeze! To perfect the look, pair shadow with a matching colored eyeliner…but have fun with it, there’s no need to sacrifice creativity. It’s pretty clear that rainbow hair is a thing. 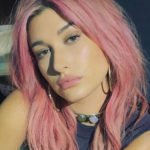 We saw rose gold hair and pink hues debuted by trend-setters Gigi Hadid and Lady Gaga earlier this year and now we’re seeing “unicorn hair” all over Instagram. Needless to say, this trend will be a hit during festival season. 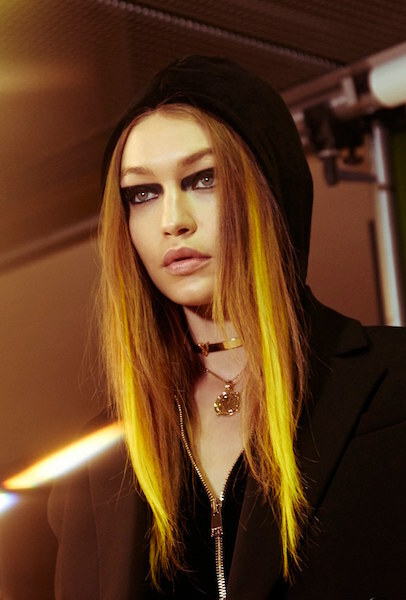 Neon hair extensions were raging at the Versace show during Milan fashion week, and it’s evident that this summer will be a colorful one, to say the least. 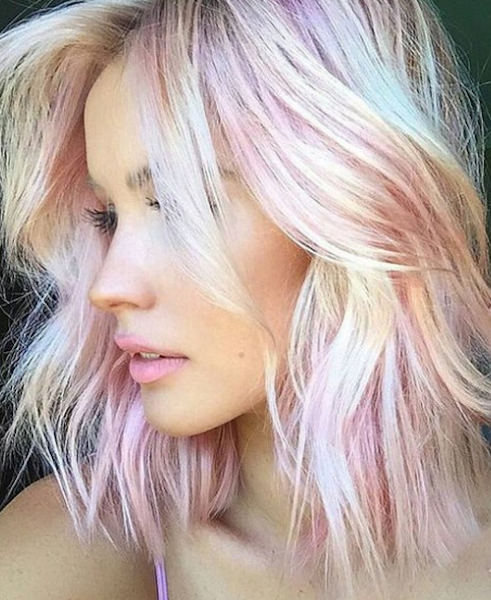 To get the look: We’re enlisting our hairstylists for this one, especially for permanent dye jobs. 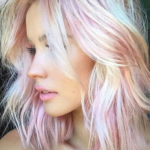 For a no-strings-attached look, colored hair extensions, demi-permanent hair dye, and hair chalk all do the job. Don’t forget to check out our slideshow above for more festival inspo. Leave your favorite looks in the comments below.